I desperately want to work in the stock room at work. I'm just plain sick of the fitting room gig. After ten months, it's just getting old. I wouldn't mind working FR once a week or so, but I want to try something new. If I could take the truck, I could work 6am-Noon and only have to leave my kids with someone in the mornings. I HATE working the evening shift and coming home after my kids are already in bed. Getting kids off to daycare by 6am? Difficult. But being home by Noon would make it worth it, I think. Since it's summertime, I'll need to find someone who can watch all three of them, but no one would have to worry about taking them to school. It's the closest I could get to being a SaHM, which I think my kids really need right now. Unfortunately I don't know anyone who isn't already overwhelmed with their own kids. The point is I'm searching. And the search scares me to death. How do you know you're not hiring a freak? What if the person is fine, but her husband turns out to be a creep? What if I hire someone totally reliable and sweet, but I worry constantly anyway because there's just no way to really know? What if I don't find someone at all and I'm stuck in the FR forever? What if I find someone but can't afford to pay them? Being a SaHM had its challenges, but this... this is a whole new ball game and it's so scary. I think this is one of the most difficult challenges for a mother or parent to face - the daycare/childcare dilemma. This is partly what lead to me becoming a stay at home mom. 6am to noon does sound like an awesome schedule. I wish it were easier and safer to find good child care. We kept having to take my son out of daycares because of awful teachers there and it actually cost more for the care than I was bringing home. (I don't trust babysitters of in-home daycares.) We need better quality but also affordable child care in this country. Sorry to ramble on, it's a topic close to my heart and I feel for you. I hope a good solutions appears that will be great for you and your kids both! I wish you all the luck. It is so hard to do what is right. I remember cutting down my hours at work so that I could be with my son and husband...now I SAH...and while I can only do this for so long (hello money?) at least I was able to have this opportunity. Anyway I finally had the patience for once to wait for it to load! I feel you! anytime anyone asks me what my plan is for child care when I go back to work I just want to shut down robot style and pretend they didn't even ask. It's probably been the hardest question I've been asked. I don't want to think about it at all. serious anxiety over the whole thing. 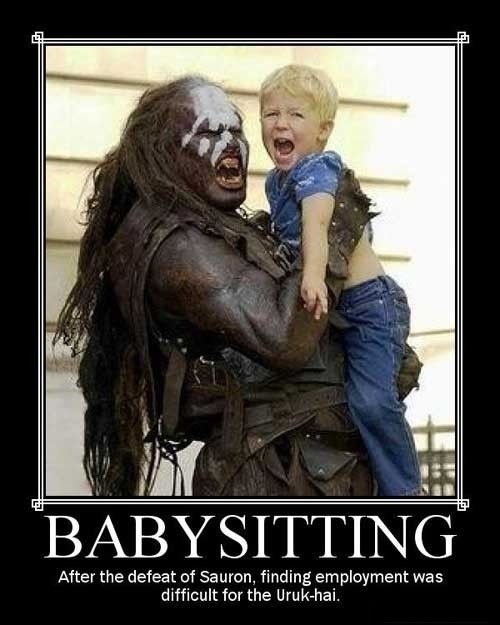 I know how stressful it is to find the right sitter for kids while you go to work. Correct me if I'm wrong, but if you're paying a sitter for 3 kids you aren't actually making money, right? I think you should clean houses for work. $20/hr is not bad. Exhausting, but you can listen to books on your ipod at the same time!